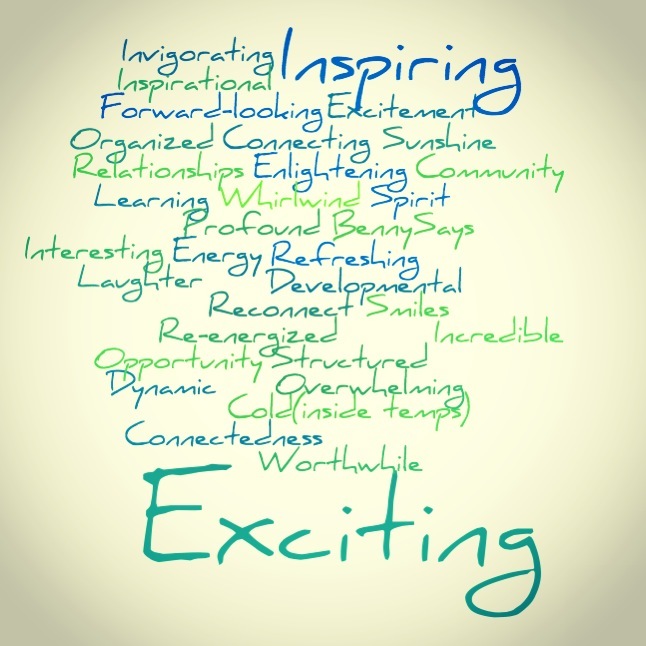 So this past week at TPE I asked everyone I interviewed to describe their TPE experience in one word. It was great to hear how employers felt about the placement conference. At first this question was only intended to assist with this project and I was pretty unsure of what kind of answers I would get, and how it would help me learn more about the people I was interviewing with. This project also showed the overall excitement of employers to be recruiting, but I also saw a ton of school pride, investment, and connectedness through this. I also learned so much more about the people I was interviewing with because of course they couldn’t just tell me one word – sometimes they wanted to use more than one – and because of that they wanted to share their story. It was excellent and I am happy to share it with you here! Here is what they said! Were you at TPE? Share with me your one word @byebyeryan.